The Little Aces is a talent recruitment and development program for 6-8 year olds. The program aims to improve the overall development of these young participants with the goal of retaining them in the competitive stream of tennis. This will lead to a much larger pool of young competitors, ultimately resulting in future Canadian Champions. 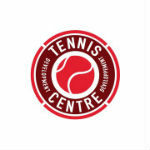 The National Bank Little Aces Program is overseen by Tennis Canada as part of the Tennis Development Centre (TDC) Program with the financial support of National Bank. This program is for TDC’s and will support up to 20 TDC’s in total. Selection will be based on a combination of rewards status (Gold, Silver and Bronze) and U12 development which will include the club’s U12 program pathway (as per minimum TDC criteria) and U12 players results as per the TDC monitoring tool. Selected TDC’s will receive grants to enhance the training of identified players. This will be in the form of adding group, semi-private or individual training to their existing program. The program will go from September to June of each year and will support the player for a two-year cycle. The tracking of the development of the Little Aces selected players will be done through the existing TDC monitoring tool. The overall goal is to have the players competing regularly in the U9/U10 competitive structure as per LTAD minimum guidelines. In the first year, TDC’s will receive $500/player and in the second year, $750/player. Thus, the grant commitment to the TDC for the specific player will be for two years, with the second-year contingent on the player still being in the program. The grant for the second year is non-transferrable. Thus, in the second year, ideally each TDC will have 8 players (4 first-year players and 4 second-year players) and could potentially receive $5000. Payments to the TDC will be sent in two payments, one in January and one in June. Note: the amount will be determined by the number of players selected and remaining in the program. Note: Tennis Canada is committed to support the selected TDCs for the two-year cycle. If after the two-year cycle a TDC is no longer selected, then they will not be eligible for the program. Each year in September, TDC’s will be added to the program if they are selected based on the criteria outlined in the program description above. TDC’s need to confirm their participation in the Little Aces Program by September 15 (invitations will go out in early September based on the rewards points of the TDC monitoring tool from the previous year) and identify the Coach 2 or above that will be responsible for the Little Aces Program. TDC’s will organize and run a motor skills day by October 15th for players ages 6-8 who are targeted to participate in your clubs competitive oriented programs (see Motor Skills Day description for further details). Enter the selected players results from the motor skill day in TDC Monitoring tool. TDCs’ must select and get approval from the Director of High Performance Clubs and U10 Development for the 4 players to be part of Little Aces Program by the end of October. These players will be entered into the TDC Monitoring Tool. TDC’s Coaches will be required to complete an individual evaluation for selected players 3 times a year for technical evaluation (November 15th, February 15th, June 1st) and 2 times for the physical testing (November 15th -June 1st) This evaluation will be accessible in the TDC Monitoring tool. Players selected, ages 6 to 8 will be required to participate in a minimum of 6 Tournaments/Events and be part of the TDC training program for a minimum of 30 weeks. TDC’s will confirm the return of the 1st year players to their program by September 15th of the following year in order to access the second-year grants. TDC’s are required to continue to meet all requirements outlined above as it pertains to these players. The use of the funding for each player selected will need to be approved by the director of U10 development and high-performance clubs. TDC’s will also be required to provide each participant’s parents information on the Little Aces program.